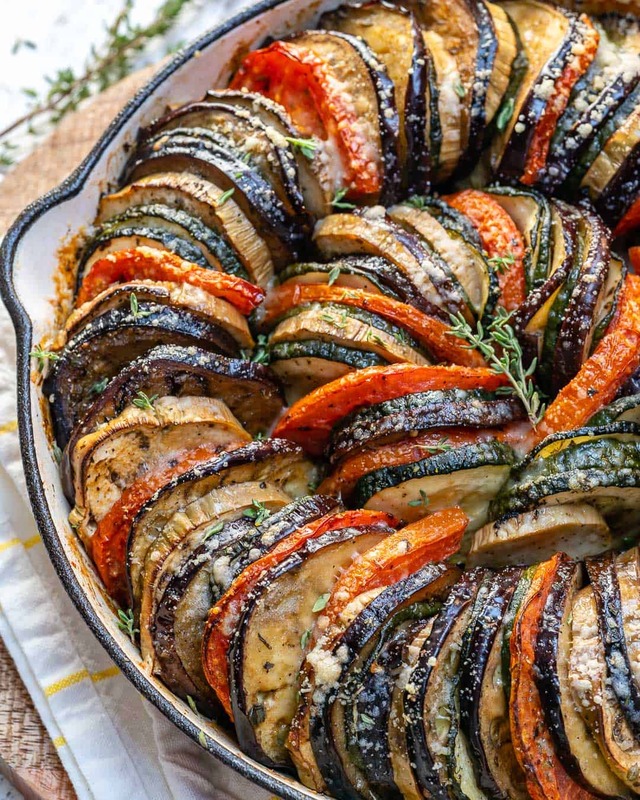 This Healthy Eggplant and Zucchini Gratin is perfectly baked and ready in less than an hour. 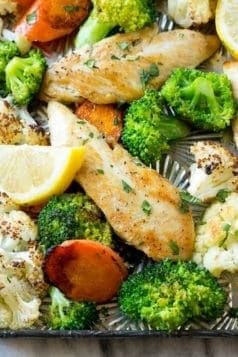 It’s very easy to put together and a much better way to eat your veggies with less than 100 calories per serving. 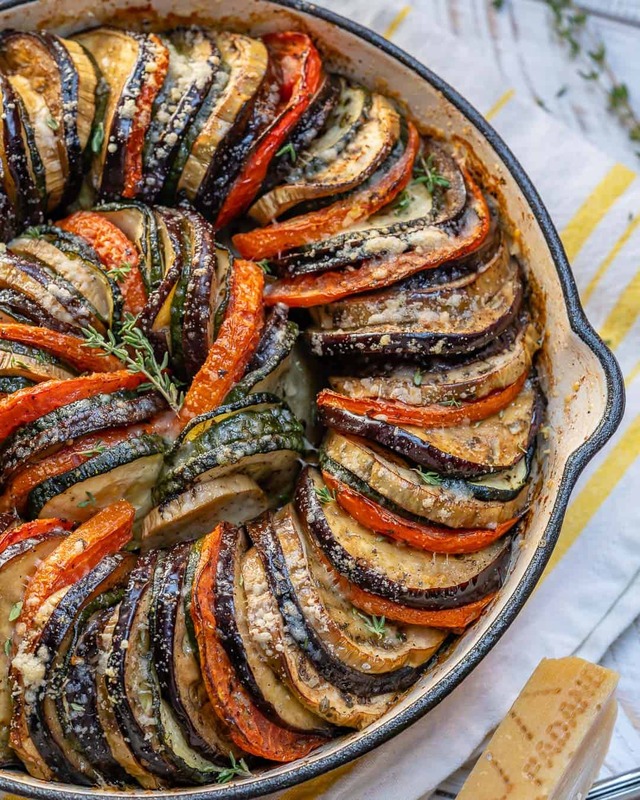 This Healthy Eggplant And Zucchini Gratin is almost too pretty to touch and mess up. You may think its tedious and too much of a hassle to make but it actually isn’t! It’s super easy to put together and tastes amazing. Pairs well but almost anything at your dinner table. You just can’t go wrong with this dish. You may think “oh this is too complicated” its farthest from it. Just cut the veggies round instead of chopping them into smaller pieces. In fact, it should be easier! I know not everyone loves vegetables I get it. 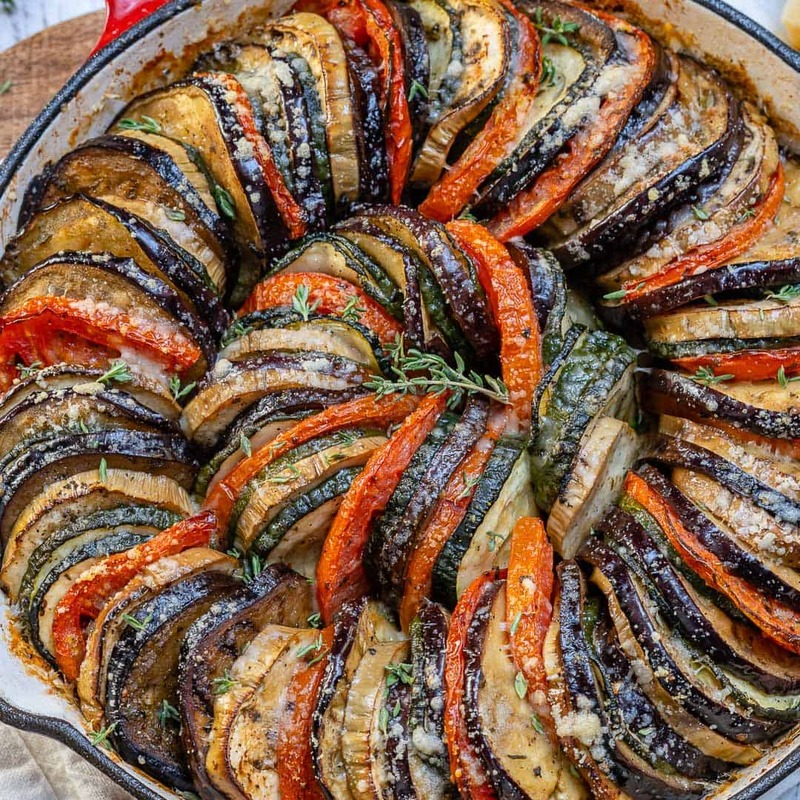 But when you make Healthy Eggplant And Zucchini Gratin you will just fall in love. 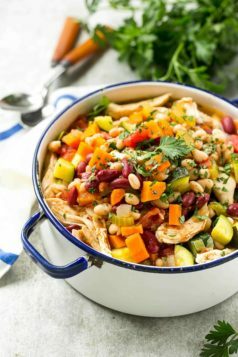 It’s a great way to get the kids to eat some veggies! Works for me so hopefully it works for you as well. Preheat the oven to 375F and in the meantime slice up your veggies! powder, Parmesan and season with salt and pepper to taste. Drizzle with olive oil and toss to get all slices well coated. starting from the edge all the way through the middle. soft, and the top is golden brown. 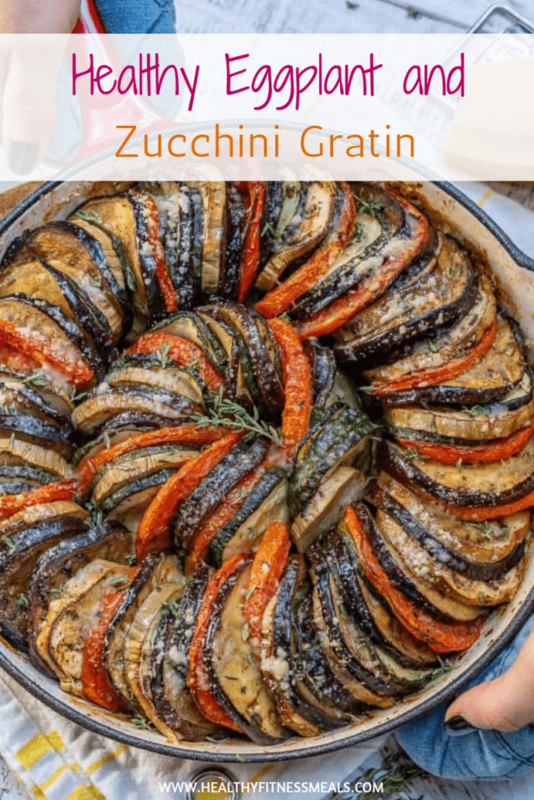 Then serve this delicious Healthy Eggplant And Zucchini Gratin. 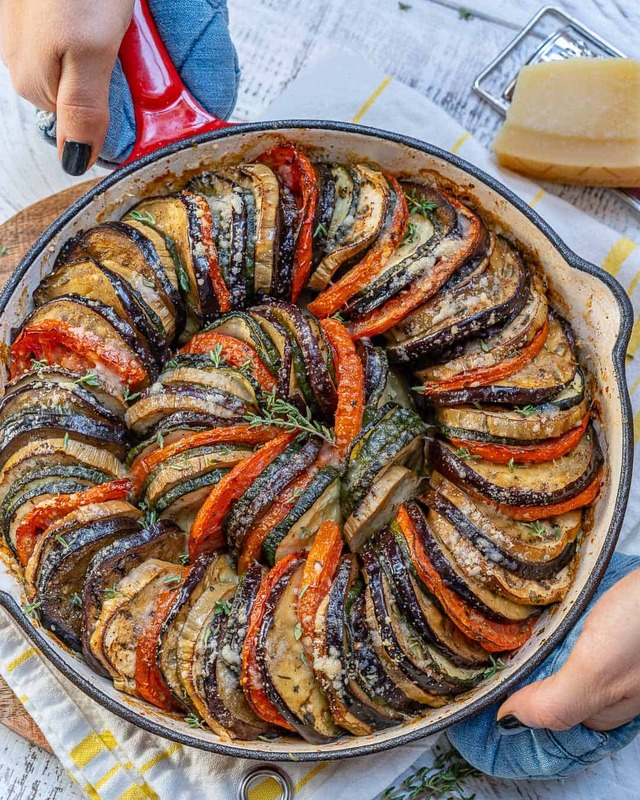 I would love to see you make this Healthy Eggplant And Zucchini Gratin and hear your thoughts about it in the comments below. Also, don’t forget to use my #healthyfitnessmeals hashtag on Instagram so I can see your remakes. Preheat the oven to 375F and spray a baking dish with cooking spray. 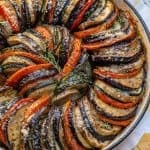 In a large bowl add eggplant, tomato and zucchini slices. Sprinkle with Italian seasoning, garlic powder, Parmesan and then season with salt and pepper to taste. 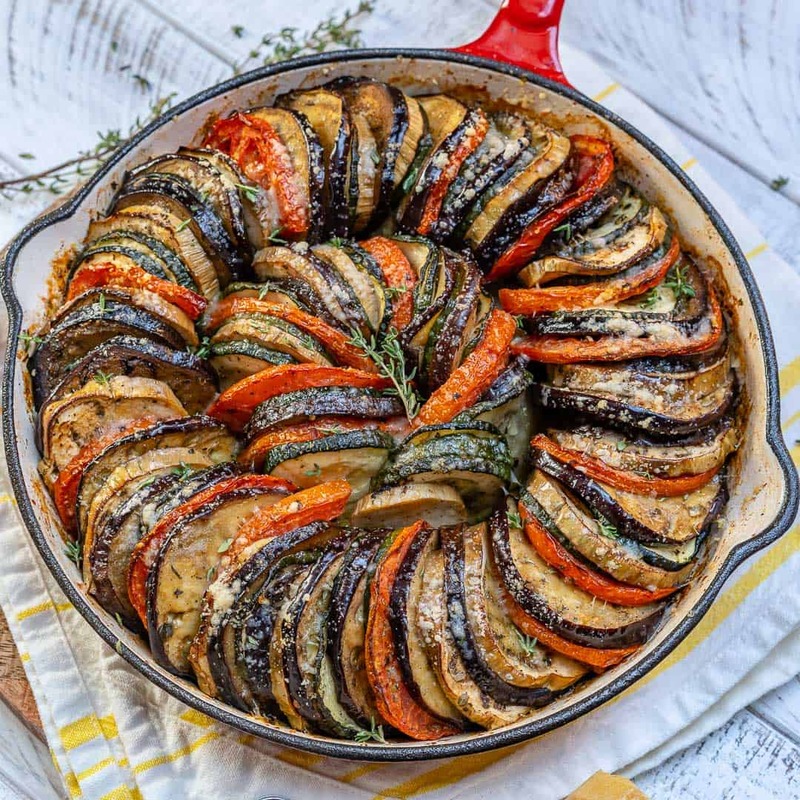 Place the dish on a rack in center of the oven and bake for 40 minutes until vegetables are soft, and the top is golden brown. Enjoy! 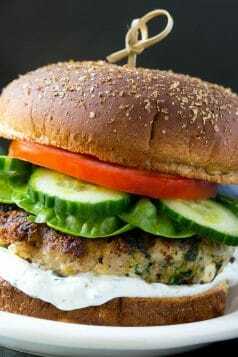 Thank you for sharing your delicious healthy recipes. Instructions are so easy to follow.